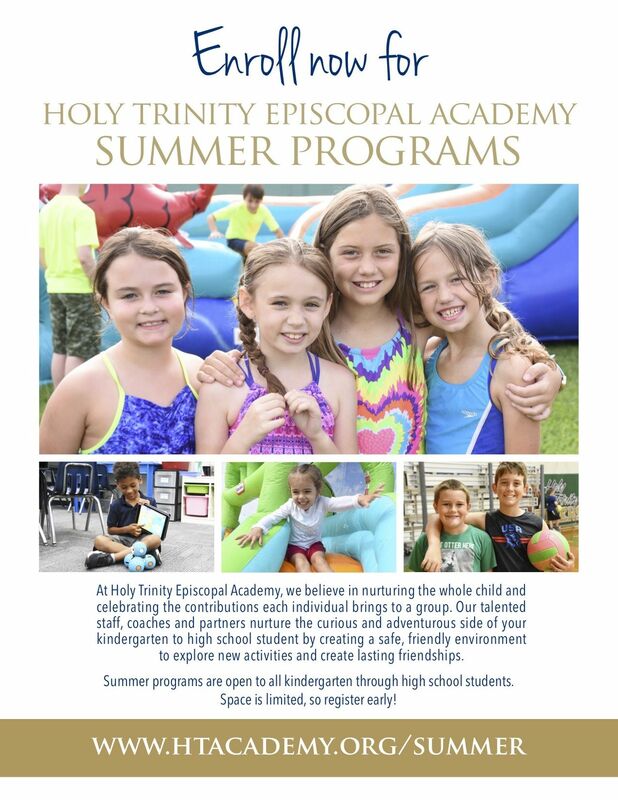 At Holy Trinity Episcopal Academy, we believe in nurturing the whole child — mind, body and spirit. Our talented staff, coaches, and partners nurture the curious and adventurous side of your kindergarten to high school student by creating a safe, friendly environment to explore new activities and create lasting friendships. Visit www.htacademy.org/summer for a complete camp listing and registration. Some programs are limited in size, so register early.